October 1st was a pretty crazy day at our house. Around 2 in the afternoon I was doing laundry and heard tires screeching and a huge crash in our driveway. I quickly ran outside as me and our neighbors surveyed the damage. We saw 3 damaged parked cars and an older woman completely shaken up getting out of her car. We quickly found out she spoke no English and saw a friend of hers drive up behind her who began translating for us. Just as I was thanking God for protecting the woman, the neighborhood kids and our car, I heard one of the kid's yell "Look at the house!" 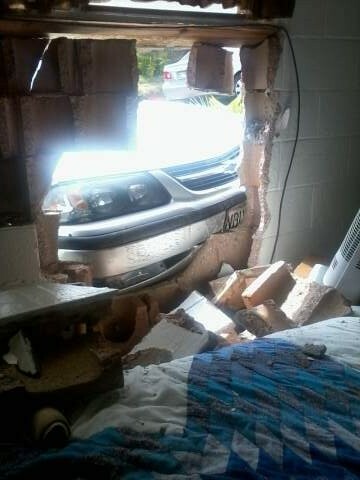 I instantly knew that one of the parked cars had gone straight through our concrete bedroom wall. The neighbor's kids who saw the whole thing began to fill us in on the details. The elderly woman came speeding up our driveway and hit a car into our house then she reversed down the hill and then came speeding back up the driveway. Going back up she side swiped a truck and then crashed into a van and then proceeded to hit the gas and hit the van again. After that she was able to stop. As you would imagine she was quite shaken up and I don't think she even knew what happened. The EMTs came and left. I was very surprised they didn't take her to the hospital because the accident definitely seemed to be caused by something medical. She left soon after and I have no idea how she is doing today. We have kept her in prayer as I'm sure emotionally and physically she suffered from this accident. When I came in to see the damage this is what I saw. I couldn't believe my eyes! 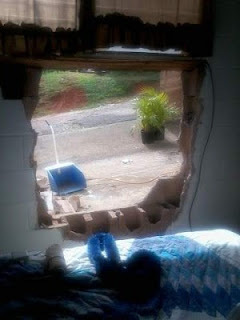 The hole was about 4x4 foot. Damage to the house was pretty bad and we knew we couldn't stay there any longer. It didn't take me long to realize that if this had happened ten minutes later I would have been folding laundry exactly where all the concrete flew. Thank you God for protecting me! 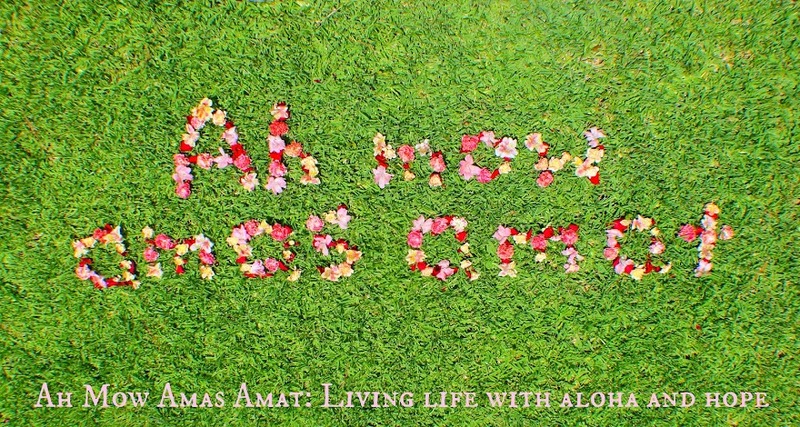 We stayed with family for almost three months while searching for a place. Two days before Christmas we were able to move into a beautiful studio. I am so grateful this chapter in our life is over with and so excited for the new one. My health has dramatically improved since we left our house and I am so excited to have moved into our new place a little closer to "normal".